Cameo Café's menu is packed with everything from traditional breakfast items, such as our buttermilk pancakes and omelets, to our Korean-inspired dinner items like the Bulgogi Burger. Stop by during our happy hour to try our delicious food and drinks at a special price. Our restaurant is located by the ninth hole of Club Green Meadows' scenic golf course and provides the perfect backdrop to our outdoor patio. With 200 seats available for our customers, you'll always find a place to sit and enjoy our food and the entertainment we provide. 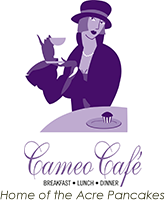 Stop by the Cameo Café in Vancouver, Washington, to enjoy the best in traditional American food and exciting Korean fusion cuisine. Located on the Club Green Meadows golf course by the ninth hole, we've served our local community delectable dishes for more than 20 years. We take pride in being a local restaurant and make the effort to get to know all of our customers. We make every effort, from learning your name to your food preferences, to create an experience that's as enjoyable as possible. Like our service, we hold our ingredients and food to a high standard. 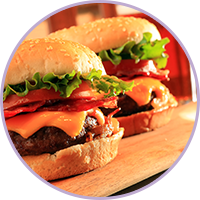 We use selective cuts of beef and quarter-inch thick bacon from local vendors, letting us and you know exactly where our meat comes from. When you eat at our restaurants, you can rest assured that the tasty dish you ordered was cooked with specifically selected ingredients to create the absolute best flavors.